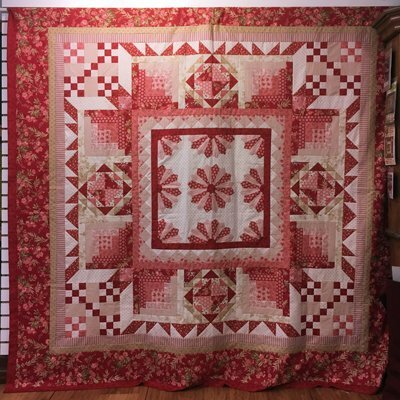 This charming bed quilt was designed by Gina Gempesaw featuring the LITTLE SWEETHEARTS collection by Edyta Sitar of Laundry Basket Quilts. She has outdone herself with this one! 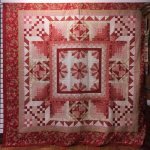 Featuring classic blocks in a unique setting, this 90” square quilt comes together beautifully with Gina’s step-by-step directions. It is suitable for the experience beginner. 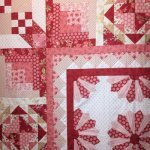 Each kit will include Gina’s pattern and all the fabrics needed to complete the quilt top and binding. Backing will not be included. We offer Cutie Pie as a one-time kit purchase. Kits will be made to order especially for you! Kit Price: $ 200 + tax Pay for the kit when you order. You can also reserve your kit today with a $ 100 deposit with the balance due when you receive your kit.